Star Entertainment Group has unveiled plans for an open-air concert venue across the road from its hotel at Broadbeach. The Gold Coast, experiencing a tourism resurgence after hosting the Commonwealth Games, is the new home of the TV Week Logie Awards, which moved from Melbourne last year, and will now become home to Star's new outdoor arena. The proposal outlines plans to develop an area that is currently vacant canal-front land on the corner of the Gold Coast Highway and T E Peters Drive. The one hectare Gold Coast Bulletin Centenary Park, which recently received a $1 million makeover in the lead up to the Commonwealth Games, will now be further activated to accommodate a stage and up to 1,500 people. If approved, the venue would be able to host events from full-scale concerts and family-friendly picnic events such as Carols at Christmas, to smaller offerings like string quartets. “We have spoken to a lot of people well-connected to the music industry,” Star Entertainment Group chief executive Matt Bekier said. 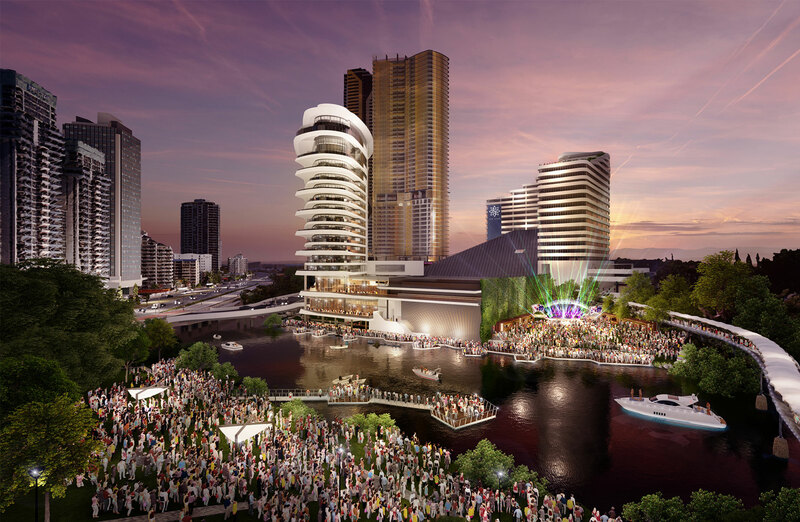 Star have said they will now approach a range of stakeholders including the City of Gold Coast Council, Broadbeach Alliance and entertainment specialists to consider the best way forward for the open-air concert venue. “We want this to be an asset the local community will embrace as part of the fabric of the city,” Bekier said. 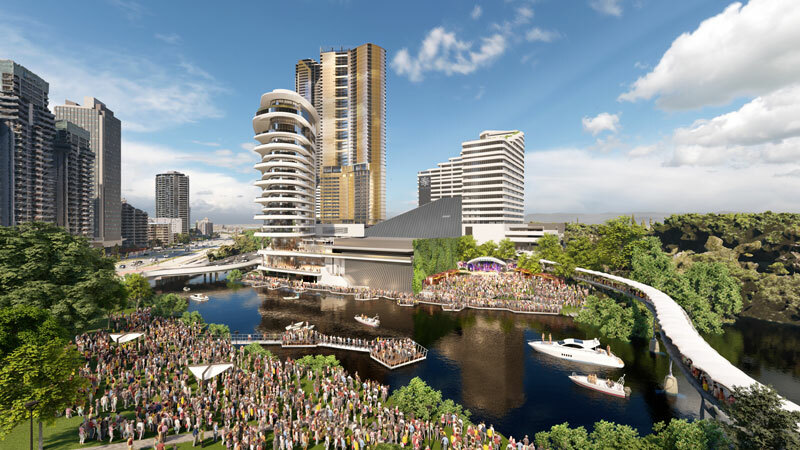 The venue concept comes two months after the entertainment group was granted approval for its $2 billion plus masterplan which includes a $850m redevelopment of The Star Gold Coast and development of the new Dorsett hotel tower. “The masterplan in its entirety would see The Star Gold Coast boast more tourism accommodation than any other resort in Australia,” Bekier said.